This post is supplemental to the Memphis Flyer cover package Going to Pieces about the state of print journalism in Memphis. This, and other posts featuring additional commentary by Wendi Thomas of MLK50, Jacinthia Jones of Chalkbeat.org, Eric Barnes of The Daily Memphian, and Mark Fleischer of StoryBoard Memphis were created to include voices and ideas that didn’t make it into the main story. Every day I wake up and discover I'm not on the wrong side of Wendi Thomas’ Twitter feed, is a good day. I kid, but when I typed that I’m pretty sure I heard a faint chorus of voices from Memphis' political and business communities saying “Amen.” And that’s a good thing. 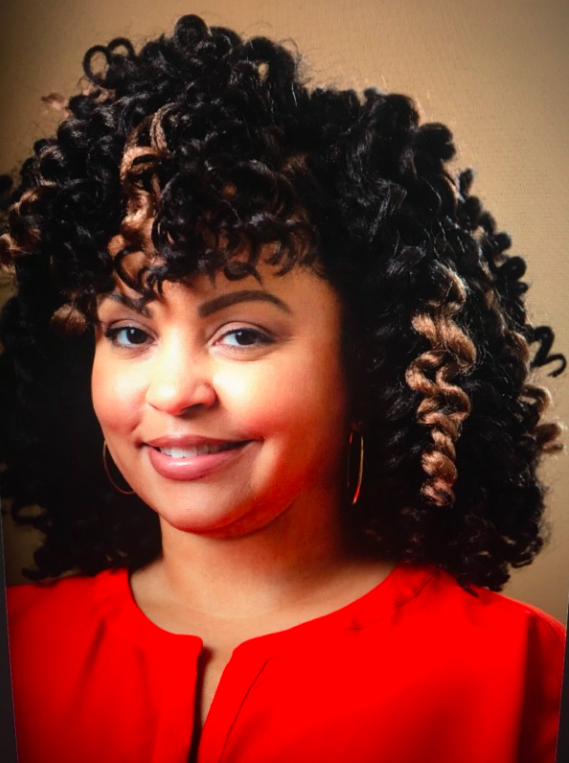 Whether she’s dragging area media because newsroom diversity (and its lack), determines content and perspective, or calling out bosses who won’t pay a living wage, Thomas is one of Memphis’ most critical journalists — castigatory, elucidative, and vital. In spite of her long history as a columnist and editor for The Commercial Appeal, I didn’t sit down with Thomas to talk about struggling dailies or the print journalism business. We didn’t get too deep into discussing the reporters she’s cultivated and work she’s published online as founder of the digital “Justice Through Journalism” forum, MLK50, either. I asked Thomas to help me develop a working definition of “information justice,” a topic I’ll come back to in future posts. But some of our conversation did overlap with the Memphis Flyer cover story, Going to Pieces, so I’m sharing some lightly edited excerpts that complement both Jacinthia Jones’s vision for mass partnership and Madeline Faber’s thoughts about transparency and engagement. Like Jones and Faber, Thomas thinks outside the traditional newspaper bundle. She shared some common sense ideas for distributing less commodified, hyper-local news directly with those the news most likely affects. Memphis Flyer: I want to talk about information justice but I’m not completely sure I know what I mean by that. Wendi Thomas: I think information justice starts with "just us" — and who the "us" is. The media doesn’t provide everybody with the information they need to live better lives, or make better decisions about things that are critical — housing, shelter, you know… I read a story about FedEx expansion plans. There’s new tech for getting boxes on planes but not a word about how this might affect employment. When you’re writing with an eye toward justice, these are the kinds of questions you’d ask. So that story wasn’t written for people who work in the hub, or even worried that they might have to ever work in the hub. I try to imagine a media environment where the information people —low income people in particular — need to make better choices is accessible without too much expense or hassle. And I wonder who profits from the current media environment, where you have to make an effort to get information. WT: I've never found out much about it, but you’ve probably seen a quote I tweet: “If you want to solve any problem in America, don’t study who suffers from it, study who profits.” That’s a huge gap missing in journalism as a whole. There are exceptions, like reporting about expensive calls from the jail. That story was out one week. The next week we weren’t going to make juveniles pay to call their parents anymore. Period, full stop. Public policy can be changed quickly in ways that affect vulnerable people. But somebody has to systematically examine industries, and government organizations, to find where those places are. I don’t know anything about that quote’s provenance, but I've seen you share that and thought it was absolutely right. – you go out and talk to the people, you write the story, you do the follow-up. But what if we completely dismantled that process? What if people are involved at every step, and you report on your reporting, in maybe less formal ways. Maybe it’s not 8 paragraphs or 400 words. Maybe it’s using Facebook Live or posting in a group. We talk about growing audience. Part of growing our audience is involving people in the process, and not always deciding what’s best. You see that kind of transparency sometimes. I’m thinking of the Washington Post's investigation of the Trump Foundation, which involved posting notebooks, and keeping the process front and center. That changed things a little. But the level of engagement you’re describing is still rare, I think. Let’s talk for a minute about how people get information, which obviously isn’t always the same as “news.” People weren’t always coming to the newspaper bundle for news. There are entertainment listings, housing and help wanted ads. Now people with public service information partner to multiply resources. Like if you’re doing a voter registration drive, you might piggyback with a health services opportunity, and engage people in barber shops and other third spaces. Can newsrooms learn from that? WT: The library may be a more economically diverse third space. If we’re rethinking how we distribute information, there’s this system where you can send direct mail. Political candidates do it all the time, but I’ve never seen a journalist use it. So, say you’re writing something about 38126, which I think is the poorest zip code. So what if you used direct mail to distribute stories or solicit information in 38126? Or, you know, use the inserts you get in your MLGW bill? What if there was something in that? Or billboards? I have seen the Commercial Appeal do a little bit of that. Smaller outlets probably think they can’t afford billboards. But what if a non-profit found a way to underwrite [it] and every week maybe they worked with a different [news] outlet? For justice-forward reports you can follow MLK50 — now part of ProPublica’s Local Reporting Network here. “I started talking to people and realizing how many other stories need to be told,” he says. “And people have no means to tell them.” That’s when Fleischer, who’d already been blogging about Memphis, got an idea to start a digital magazine. 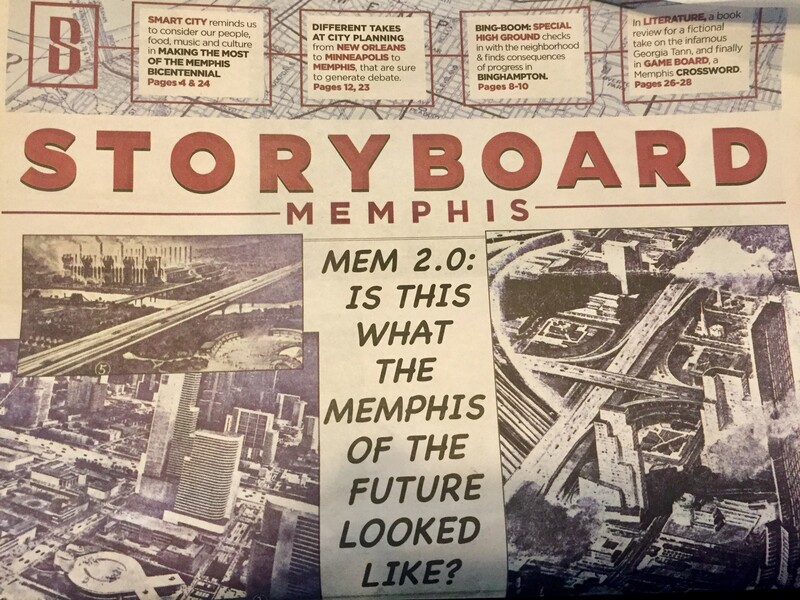 That idea evolved into Storyboard Memphis, a monthly broadsheet-style newspaper with original historical and urban-themed reporting, supplemented with news articles from many of Memphis’s digital-only news organizations like Chalkbeat and High Ground News. Memphis Flyer: An online magazine sounds great, but how does it work? It’s tough putting even quality content behind a paywall if it’s not unique or if similar content is available somewhere else free. Mark Fleischer: I didn’t see a digital magazine taking off. A couple of guys we all know in publishing said, “You should think about print.”... It took a year for me to convince myself that was doable... For-profit seemed the most straightforward way to go. I don’t want to be chasing non-profit money all the time. You’ve solved at least part of the newsroom riddle by aggregating content from several of Memphis’s digital-only content providers, which is great for a lot of reasons. You get content, they get a sampler platter where they’re included in one nicely curated space with all these other information providers you’d have to track down individually online. Also, the digital divide — there are a lot more people who aren’t online than most people think. Mark Fleischer: I remember thinking, if I can just convince High Ground to partner with me, and I can be their print medium. Then I’ve really got something. The kind of deep dives into neighborhoods High Ground does seems like it really lends itself to the urbanist-focused work you’re doing. Mark Fleischer: Yes. And I talked to Tom Jones at Smart City — same thing. Mark Fleischer: I realized, the more I talked about this, the more I realized there was an appetite for print. Maybe more like a hunger. Mark Fleischer: It’s out there. But it’s out there in digital format. When I came up with Storyboard, I originally thought about telling a stories through all media: audio, podcast, video, photography, art. All that. Well, there’s no reason I can’t do that in print. Not audio and video, obviously, but we can certainly use the medium and get as close to that as possible... High Ground isn’t going to print any time soon. It’s just not in their model. Tom Jones can’t go to print, he doesn’t have enough content. But together we do have enough content. It’s like showing all the work being done by High Ground and Smart City and all these other niche publications. Storyboard also features original reporting by Fleischer, fiction, poetry, puzzles, and children’s pages. Distribution is free but not forced. It’s available in coffee shops and other public places around Memphis. Flyer cover story Going to Pieces. For readers interested in a more in depth conversation with Daily Memphian executive editor, Eric Barnes, he and I spoke at length shortly after the digital daily's 2018 launch. Our more recent conversation, was brief and to the point, so there wasn't really enough leftover content to make a stand-alone post.